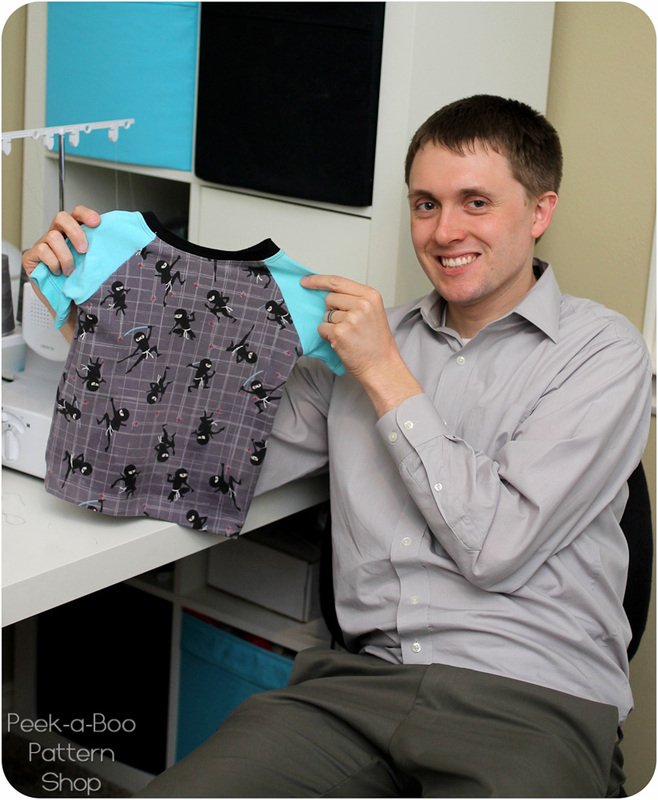 My Husband Sews a Shirt! - Peek-a-Boo Pages - Patterns, Fabric & More! 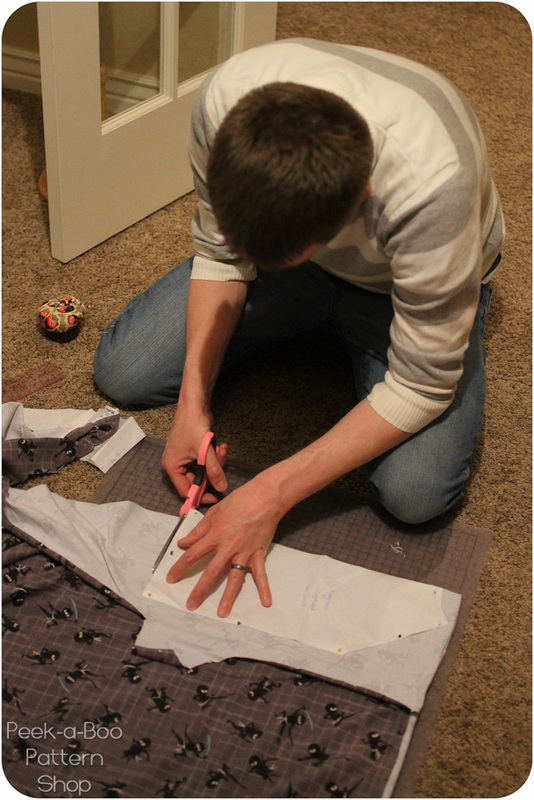 My Husband Sews a Shirt! My husband sewed a shirt! I did have to try hard to restrain my laughter as he tried to get the cotton lycra to lay flat while he cut out the neck binding but he got it sorted out and did a much better job than I do of actually cutting a straight piece. He did get in a little fight with the neck binding but he prevailed in the end 🙂 And good news…a video tutorial for neck bindings is coming later this week! Want to sew one too? Grab a copy of the Grand Slam Pattern from the shop and then make sure you check out our month long Sew Off! 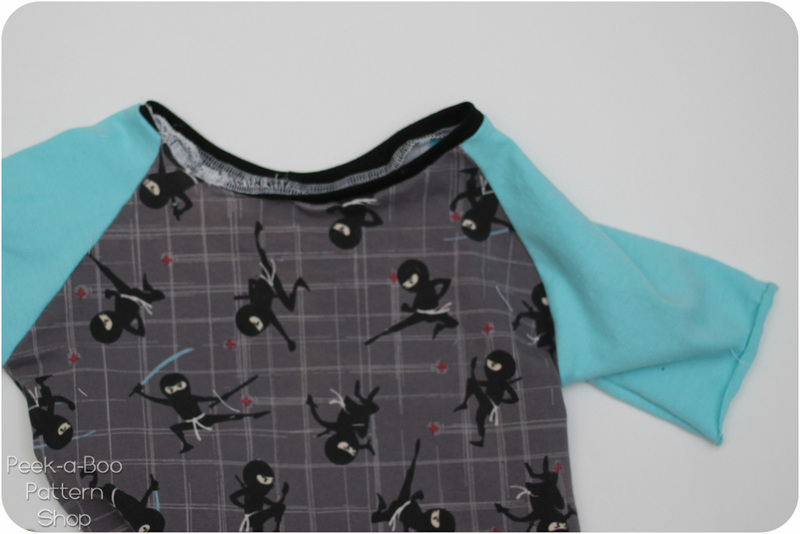 Previous Post: « Raglan Tee Sew Off! he did such a good job!!! It’s a Riley Blake print! Way to go! I am so impressed! I love this! Next you’ll be getting him to help you grow your fabric stash. Hmmm. That’s a good idea. 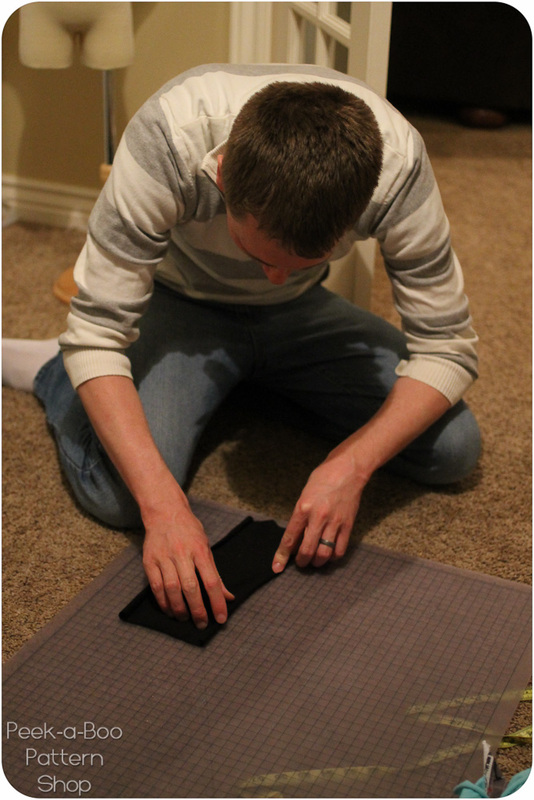 Maybe I should get my husband into sewing too! 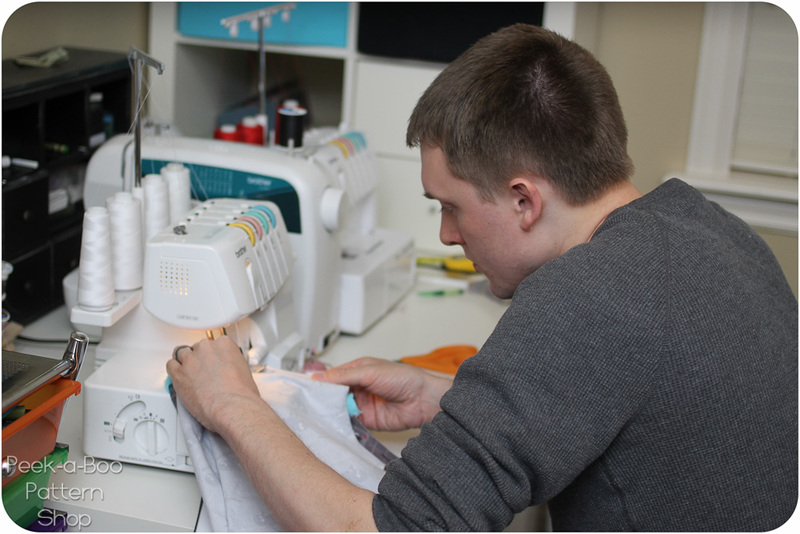 I had Scott cut and sew a crib sheet a few weeks ago to see if he could carry on the shop through maternity leave… let’s just say I’ll be closing the shop 🙂 The easiest part for him was actually the serging, who’d have thought!?! Amy, this is the sweetest thing (Love the pics)! Sewing is not easy, so jumping in and doing such a great job on a t-shirt is amazing. Congratulations!